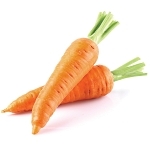 Beta-carotene is found in carrots, squash, spinach and many other vegetables. The higher the concentration of this substance in your blood, the smaller the chance that you will prematurely die from cancer, accident, diabetes or cardiovascular disease. American cancer researchers, who gratefully used epidemiological data collected in Finland, discovered this. The Finnish study's original aim was to find out whether supplements with high amounts of synthetic versions of vitamin E and beta-carotene could protect smokers from lung cancer. This was not the case. Supplementation was even stopped after a few years, because beta-carotene actually increased the risk of lung cancer. Since then, supplement companies have reduced the amount of beta-carotene in their products. Beta-carotene in foods does not increase the risk of lung cancer, and does seem to protect against a variety of diseases. Anyway, the Finnish study has continued for 31 years, even after stopping supplementation. All this time researchers have followed the 29,103 male participants who were 50-69 years old when the study began. When that period was over, 23,796 of them had died died. All the men in the study smoked - at least when the study began. After the Americans, using statistical tricks, had polished away as many disruptive factors as possible, they saw that the men's mortality rate was lower as the concentration of beta-carotene in their blood was higher. This was beta-carotene from regular foods, not from supplements. The researchers determined the concentration when the study began. A high beta-carotene level reduced the risk of death from cancer, diabetes, accidents [weird but true] but especially the mortality from cardiovascular factors. The number of cigarettes the men smoked did not modify the protective effect of beta-carotene. "Studies have shown that beta carotene is mostly associated with LDLs (low-density lipoproteins) and oxidative conversion of LDL is considered to have an important role in atherogenesis", speculate the researchers. "Thus, as one of the antioxidants, beta carotene may play a role in the modification of LDL oxidation and lipid peroxidation, consequently lowering CVD risk and mortality." "This study provides evidence that higher beta carotene biochemical status is associated with lower [...] of mortality. The dose-response associations over a 30-year period were not attenuated by adjustment for other important risk factors and support greater fruit and vegetable consumption as a means to increase beta carotene status and promote longevity." Circ Res. 2018 Dec 7;123(12):1339-49. If you consume enough n-3 fatty acids through your diet, and perhaps also through supplements, you increase the chance that you will reach a respectable age and at the same time remain free of chronic diseases such as cancer and cardiovascular diseases. In this study researchers also discovered that supplementation with Q10 might enhance the life-prolonging effect of a diet with a lot of olive oil. 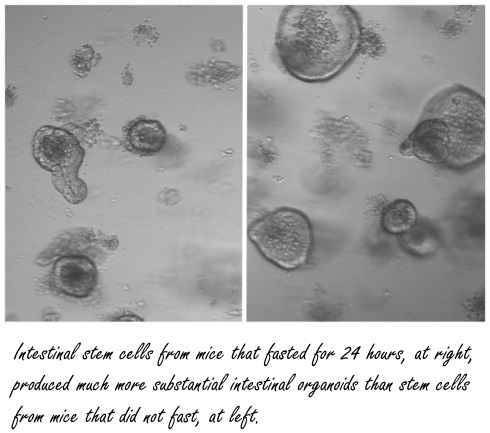 A spectacular animal study, published by biologists from the Massachusetts Institute of Technology (MIT) in Cell Stem Cell, shows how fasting rejuvenates tissues.